Use your Instagram account to support and enhance any campaigns you may already have. Create supporting visuals and videos; use the same hashtags you might already use on Twitter and Facebook. Are your customers sharing images of your products on Instagram? Take advantage of that! Encourage them to use a hashtag to unite those images. Interact with your customers and show off their images on your other social accounts. Your customers will love the interaction from you and you will get a vast array of social proof showing off your brand. Show off your employees and staff, give a glimpse into the behind the scenes life that your customers never get to see. Show them your company’s human side. Your customers will connect with you more and you will develop a stronger following. Your images don’t all have to be ready to premiere in the latest art gallery opening, however, they should be something you are proud to show off. Take the time to select the best images to show on Instagram. Unlike other social networks where 3 hashtags is plenty, Instagram loves hashtags! Using many hashtags on Instagram is a great way to expand your images and videos reach. You can use a much higher number of hashtags than you would on any other social networks. However, other hashtag etiquette still applies, so use appropriate ones! It almost goes without saying but, make sure your profile is up to task. You know the drill: fill out all the info, have a great user icon, and eye catching images. Remember #4? Those images will show up on your profile, so make sure they are something you want users to see when they see your profile. Instagram allows you to share your content on other social sharing sites, if you have them connected. Sharing your Instagram images and videos on Facebook and other social networks allows you to reach another audience, and more customers. You can use Instagram to promote your business. Using these 7 tips will help your business Instagram account get off to a successful start. 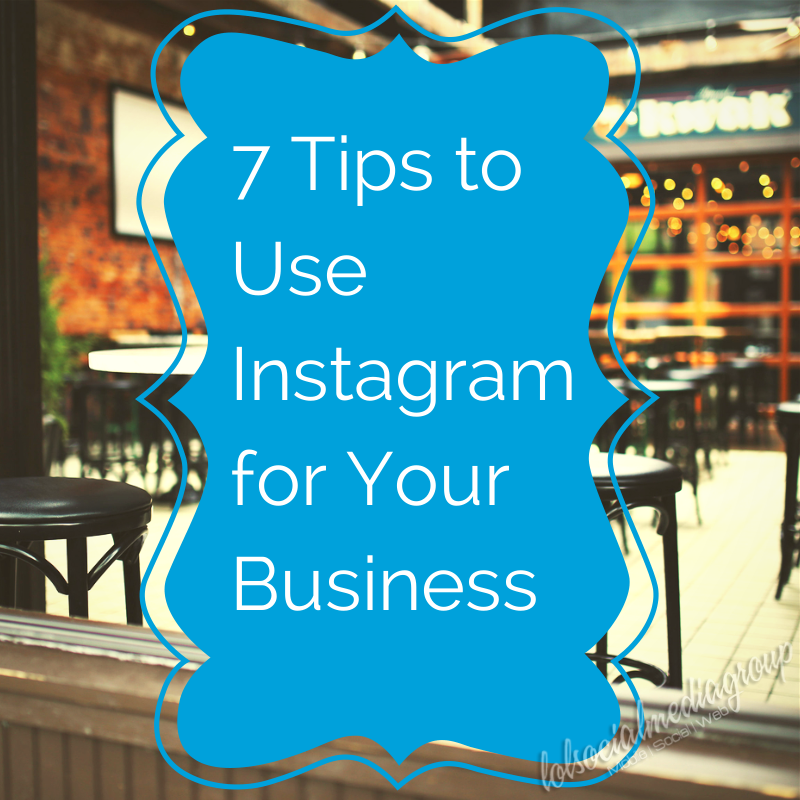 Do you have any other tips for using Instagram for your business? Share them with us in the comments!